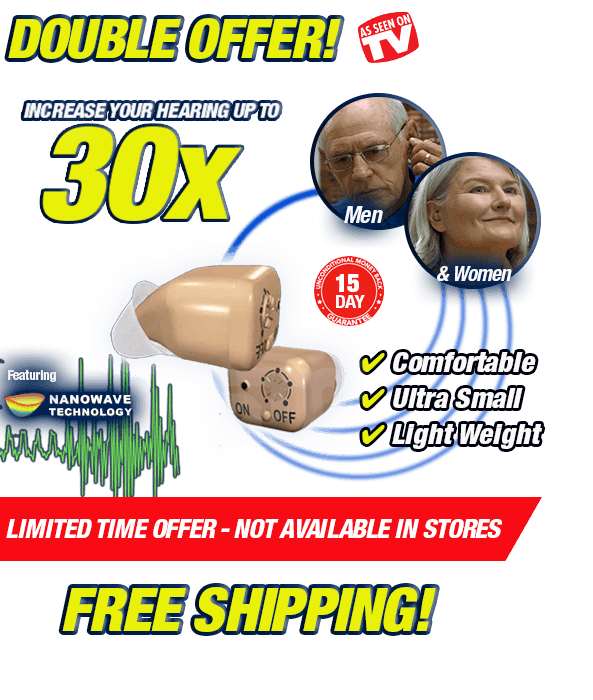 The World's Most Discrete Hearing Amplifier! The Audion Micro comes with a long lasting, rechargeable lithium battery. 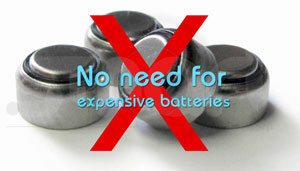 So no more buying batteries! Use one and keep the other charged and never miss a sound! The Audion Micro can be charged using the convenient AC adapter or from any USB port. 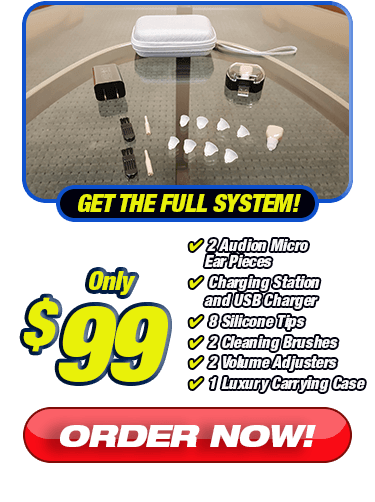 The Audion Micro system comes complete with 4 comfort tips guaranteeing a secure fit in either ear, cleaning brush, volume adjuster, charging station, and a luxury carrying case. Get a new life full of sound! Audion Micro, the revolutionary and discrete hearing system that will change the way you experience life. 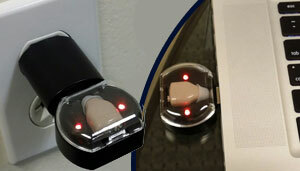 Never before has a hearing device been so small, comfortable, and powerful at the same time. 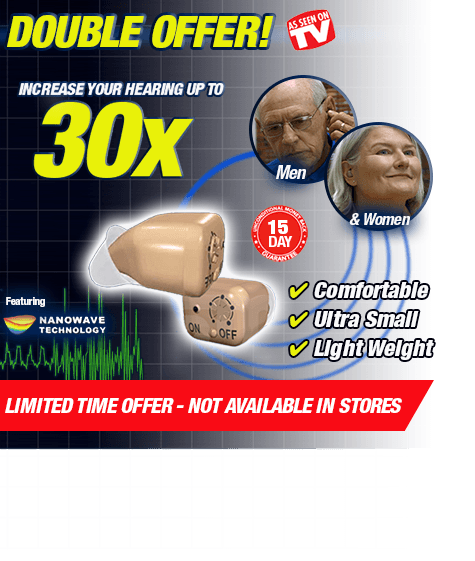 Audion Micro’s secret is it’s patented Nano Wave Technology that amplifies all of the sound around you, increase your hearing up to 30 times. 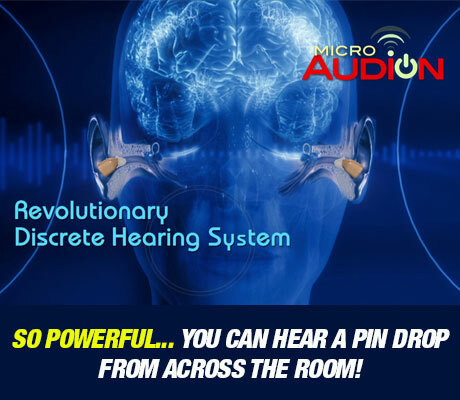 LIMITED TIME OFFER - Get Your Audion Micro Today! The Audion Micro DOUBLE OFFER includes: 8 comfort tips guaranteeing a secure fit in either ear, 2 cleaning brushes, 2 volume adjusters, 1 charging station and 1 luxury carrying case. Offer Details: Get the complete Audion Micro kit with 1 Audion Micro ear piece, 4 comfort tips, 1 cleaning brush, 1 volume adjuster, 1charging station and 1 luxury carrying case for only $99 and receive a second Audion Micro ear piece, cleaning brush, comfort tips, and volume adjuster absolutely FREE! 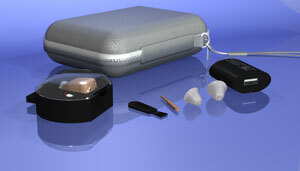 The Audion Micro Sound Amplifier is not a substitute for a hearing aid or intended for use by hearing impaired people. The FDA advises anyone who suspects hearing loss to seek evaluation by a health care professional.